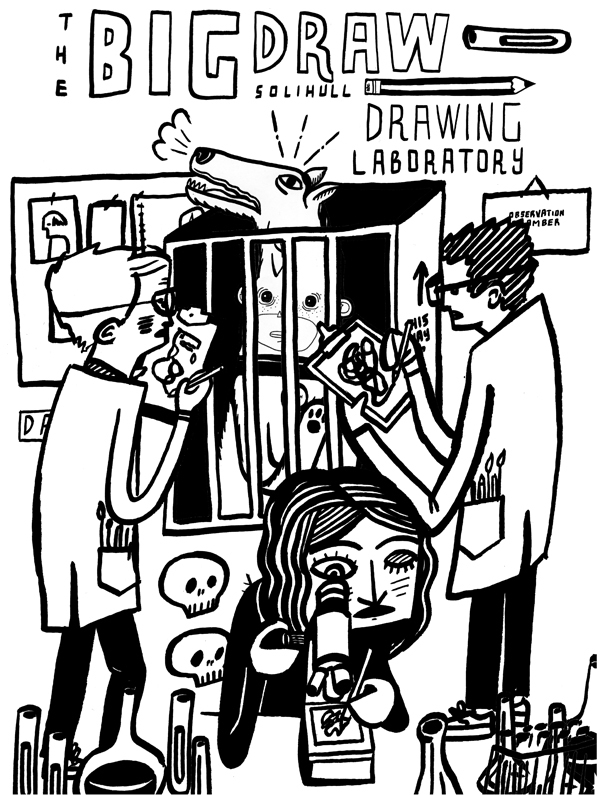 Myself and James Bourne will be setting up a Drawing Laboratory at Solihull Arts Complex as part of the national Big Draw series of events on Saturday 30th October. Come along, be our guinea pigs. Other News: The Aged Yummy single that I did some drawings for is available for pre-order from Run of the Mill Records now. Its a limited edition handstamped cover with a screened poster insert, check out one of the tracks too! The Bleu Blanc Jazz cd cover that I did will be out with the November issue of Jazzwise Magazine. NICE. ← Be Nice and Stay Away.